The Reputation Turbo Charger is a step-by-step process you can use to build your reputation in a proactive, systematic way. When you actively build your reputation you are able to create a reputation that makes you the ideal candidate to lead projects that are a great match for your values and your vision. The advantage of this is that you will be leading projects that excite you and place you on the fast-track to a successful career. Once you've defined the values you want your reputation to reflect, your vision of where you want to drive your career, and the target audience that will be important for helping you reach your career vision, you will then be ready to create your Reputation Action Plan. By focusing on those three areas, your Reputation Action Plan will be aligned with your values and vision so that you are consciously building a positive reputation with the people that are important to you and your career. I call this process the Reputation Turbo Charger. The purpose of this step is to understand what is truly important to you. For example, if being treated fairly and treating others fairly is important to you, one of your values could be "fairness." To complete Step 1, create a list of 10-15 values that are important to you. As you think about this, try to reduce each value to one or two words. Understanding the values you consider important will give you the insight you need to define actions that will build a reputation that is consistent with your values. The purpose of this step is to define how you want to be seen at two specific points in the future - 5 years from now and 100 days from now. Start by creating your 5-Year Vision. Imagine it is 5 years in the future. Envision your ideal career at that point. Make it as visual as possible. Think about what it feels like. Really immerse yourself in that vision. Write out what your 5-Year vision looks like. Once you've done that, now picture yourself 100-days from now. Imagine you've started leading your first project, or possibly even finished it. Think about the ideal way you want to be seen after those 100-days. 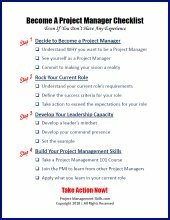 Think about the accomplishments you and your project team have achieved. As before, immerse yourself in that vision. Try to feel the emotions and sensations you are experiencing. Write out your 100-day vision. The purpose of this step is to define your target audience and their needs. These are the people that you want your reputation to influence. Why is this audience important? What are this audience's needs, goals, or motivations? How can you help them achieve their goals through your project and actions? Now that you've defined your values, vision, and target audience, it's time to bring it together by creating your Reputation Action Plan (RAP). The purpose of the RAP is to identify the specific actions you will take in your day-to-day work that will move you toward your vision, in a way that is consistent with your values, while helping your target audience reach their goals. To build your RAP, you will focus on your top 5 key values. For each key value, look at what parts of your vision embody that value. Then identify which of your audience's needs are met or helped by that aspect of your vision. Then define the specific actions you can take that bring your vision to life and help your audience at the same time while being consistent with the specific key value. By putting your Reputation Action Plan into action, you will build a reputation that will put your career on the fast-track to success. 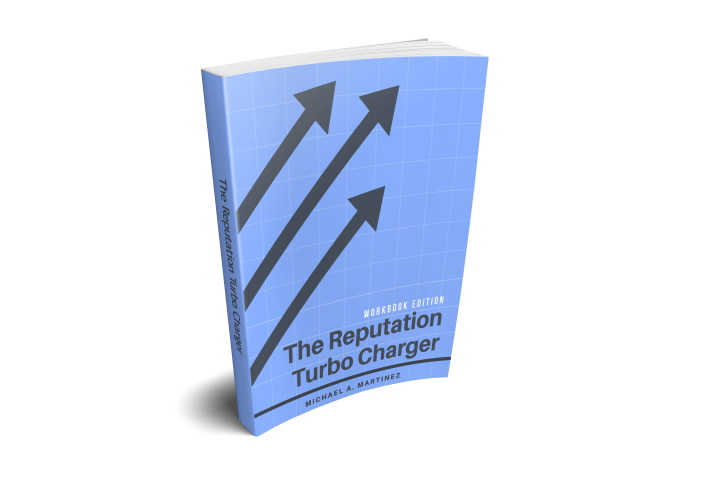 If you'd like more guidance on applying The Reputation Turbo Charger for advancing your career, take a look at The Reputation Turbo Charger Workbook Edition.